Pitscale Grass is an annual grass with stems 5-100 cm high, erect. 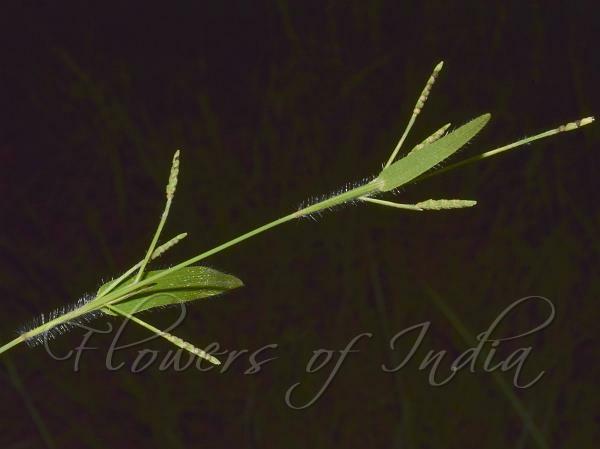 Leaf-blades are linear-lanceshaped, 2-15 cm long, 4-12 mm wide, coarsely bristly, somewhat stem-clasping. Flowers are borne in racemes 5-15 mm. long. Stalkless spikelet are 1 mm long; upper glume narrowly crested at the tip. Stalked spikelets are 1.5-2.5 mm long. 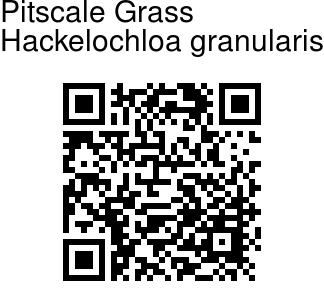 Pitscale Grass is a weed of disturbed soils around habitations and old farmland, found throughout the tropical world at altitudes up to 2100 m. Flowering: June-October.